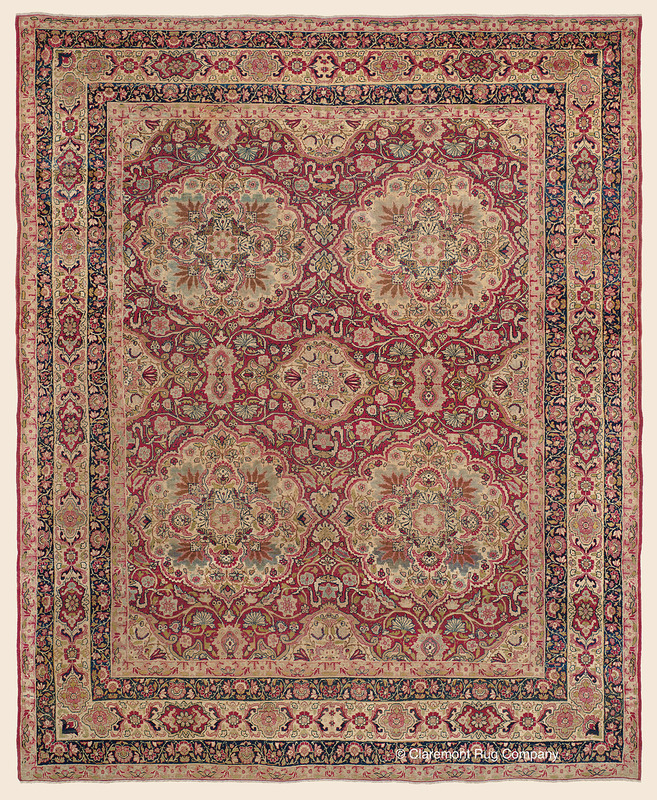 Search Our Inventory / All Rugs / 9&apos; 0" x 11&apos; 0"
9&apos; 0" x 11&apos; 0"
This charming, small roomsize carpet offers a rarely seen, multiple medallion motif in the Laver Kirman style, best known for rugs featuring the highly formal center medallion and four corner piece format. Along with its finely articulated, high detailed patterning, this over century-old Southeast Persian city rug boasts an inviting palette of wonderfully time-softened tones, including deep rose, gold, taupe, celadon green and turquoise. Woven a squarish shape, this rug's patina illuminates its classical palette, offering a changing light show throughout the day, one of antique rugs' well-known allures.